KMTA’s “Spotlight” Series highlights different composers through guest artist concerts, student masterclasses, and teacher workshops. Past Spotlight events have focused on the music and artistry of Beethoven, Chopin and more. Works by Bach, Kurtag and Rachmaninoff. Pianist Oksana Ejokina appears frequently as guest recitalist and chamber musician on concert series across the United States and abroad. 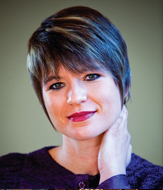 A sought-after teacher, Oksana is Chair of Piano Studies and Associate Professor of Music at Pacific Lutheran University, where she teaches piano and academic courses in Piano Literature and Piano Pedagogy. She also teaches a small number of pre-college students, who are regularly recognized in competitions around Washington state. Oxana has given piano and chamber music masterclasses in colleges and universities across the US and is in demand as an adjudicator for the Washington State Music Teachers Association. A passionate music education advocate, she has been associated with the Icicle Creek Center for the Arts, a vibrant non-profit arts organization in North-Central Washington, for nearly fifteen years serving as Artistic Director of several flagship classical music programs including the International Chamber Music Festival/Institute, Winter Piano Festival and Young Pianists Camp. 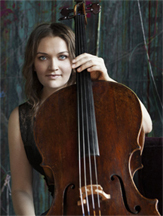 “Charismatic” (NYTimes) cellist, Sæunn Thorsteinsdóttir, has appeared as soloist with the Los Angeles Philharmonic, Toronto and Iceland Symphonies, among others, and her recital and chamber music performances have taken her across the US, Europe and Asia. Following the release of her debut recording of Britten’s Suites for Solo Cello on Centaur Records, she has performed in some of the world’s greatest halls including Carnegie Hall, Suntory Hall and Disney Hall. The press have described her as “riveting” (NYTimes) and praised her performances for their “emotional intensity” (LATimes). Born in Reykjavík, Iceland, Sæunn serves on the faculty of the University of Washington in Seattle, teaching cello and chamber music.